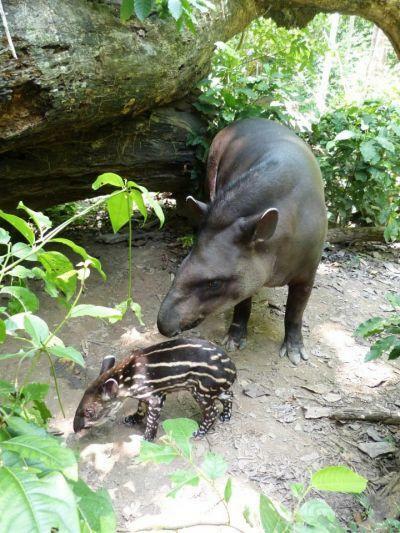 Last month our Conservation Project in Peru was blessed with the birth of little Theo, a baby tapir! Theo is the first tapir to be born at Taricaya Animal Rescue Centre as part of our captive breeding programme. He is doing very well and his mother, Isabella, is taking good care of him. Taricaya is an ecological reserve dedicated to preserving the rainforest and its inhabitants. One of the areas we focus on is animal rehabilitation and the release of captive animals into a safe environment. When little Theo is old enough, he will be released into the Peruvian rainforest. Welcome to the world and welcome to Projects Abroad Theo! !